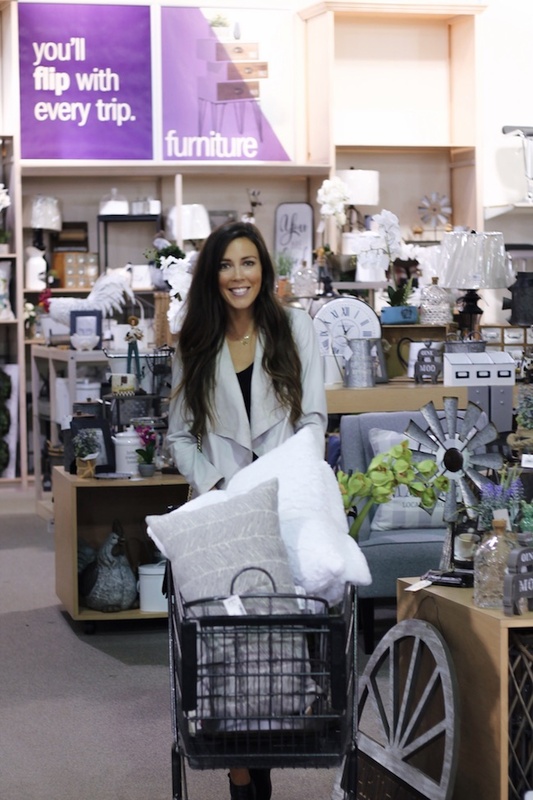 In case you missed last months post, we have been loving shopping at Gordmans this year! There's SO much to every store- trust me when I say you'll be amazed at everything available and how affordable it all is! With spring's arrival, I decided to freshen up my spring items- everything from my living room decor to a new mauve colored purse & new pastel pink lipsticks & lip liners. 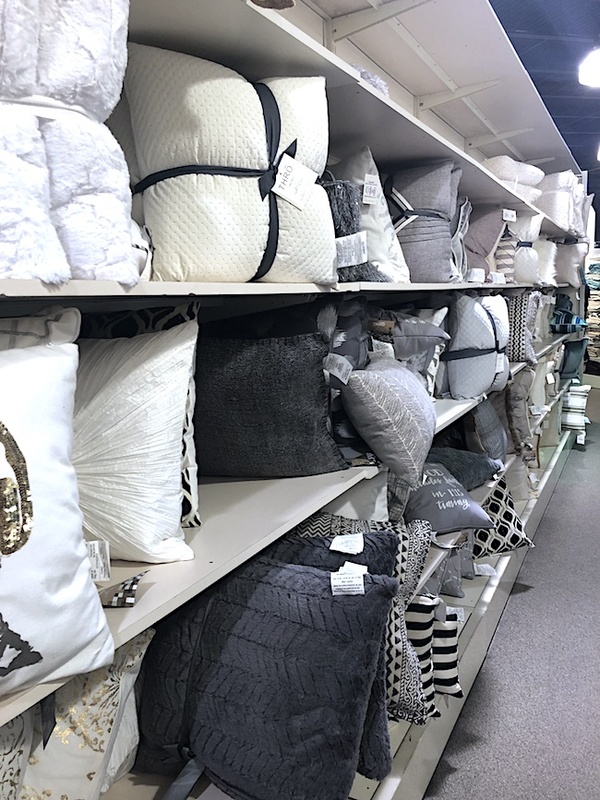 One of the easiest ways to affordably update your space for a new season is to change out the pillows! 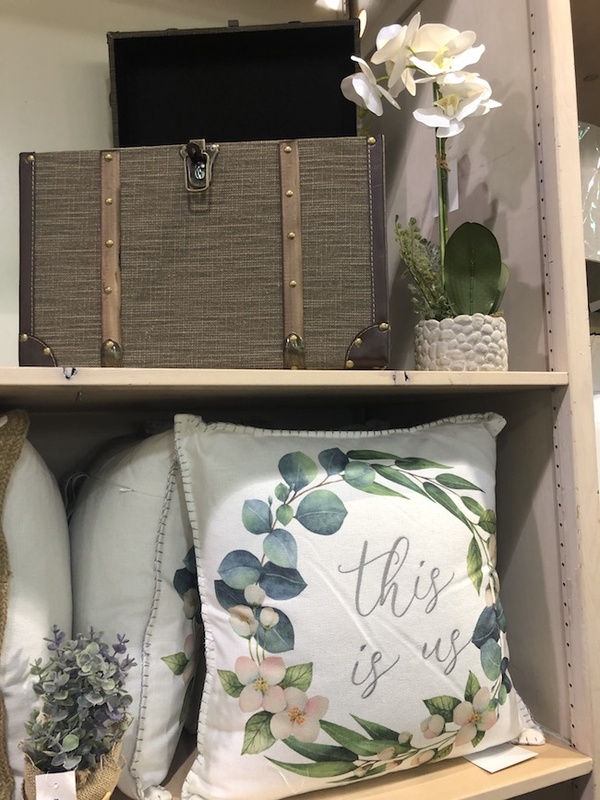 I picked up a two-pack of baby blue colored pillows, as well as the floral "This Is Us" pillow (seen above) to add to my couch. Additionally, as you can see in my shopping cart- I picked up some faux greenery to add some dimension, texture and freshness to the space. Lastly, I added some spring scented candles because I believe that smell has such a powerful effect on the feel and vibe of the room! These little changes have made my living room feel brand new! It's so refreshing to put away the thick & cozy blankets, darker toned pillows and come home to an even more inviting space! Every time I step into another Gordmans store I'm always so impressed by how much more affordable the home decor, clothing, shoes, accessories, etc are compared to other retailers. However, you're never sparing quality with the savings, which is the best part! Did you know that Gordmans opened 30 NEW stores across the states this month alone?! If you haven't yet, be sure to search their website to see if they opened a new store in an area close to you! And don't forget to let me know what you're able to find! It's been a minute since we wrote a blog post or posted on our social media accounts, but when we got the opportunity to work with Gordmans on their new year campaign, we couldn't say no! It's always our goal to get/stay in shape during the winter months, so what better way to stay motivated than to update your athlesiure-wear?! 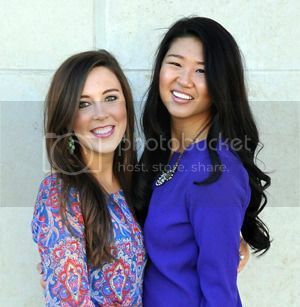 The best part- this outfit was beyond affordable! The cropped floral leggings were $12 and the hooded lightweight pink top was $9.99. Seriously amazing prices! Shopping at Gormans could not be easier; they have a huge selection of athletic tops, pants, jackets, shoes, etc including popular brands, such as Nike! 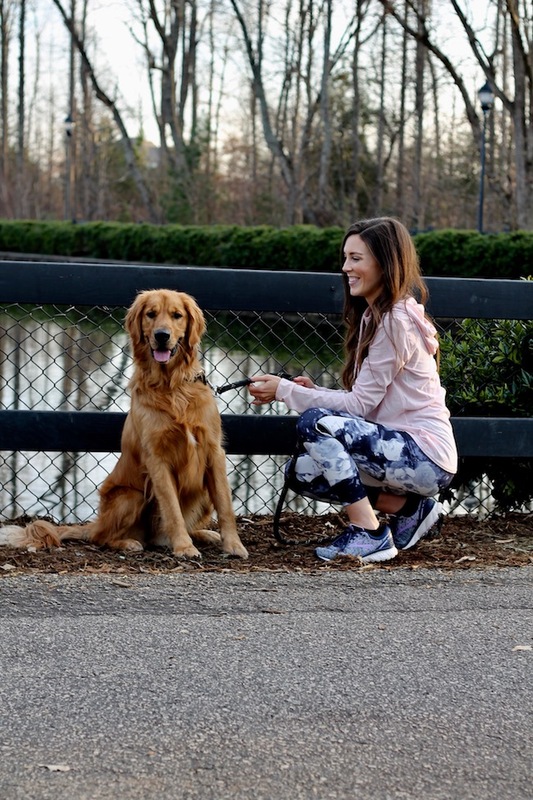 My golden retriever, Archie loves when I get new activewear because it means that he gets more trips to the park as my running buddy! He always has to stop at the pond, jump up and say hello to his duck friends (as you can see above). Another reason he's a huge fan of Gordmans? They have toys, bedding, and treats for him! Be sure to check out your local Gordmans Department Store to see all it has to offer! Let us know what you find!